With the IRS tax deadline quickly approaching, I thought a Tax Time Trivia Quiz was in order. Come on, play along with us…You know you want to. Question #1: Where is the safest place to store your financial documents? Actually, your filing cabinet and your computer are the first two places anyone wanting your social security number or financial records would look. Who is after this information? More people than you might think. From the shifty-looking office temp to the professional computer hack, personal and business information has become a hot commodity. An eye-opening USA Today article unfolds the story of cyber-thieves who went to great lengths to infect an entire corporation with a virus that would copy computer files and then send the retrieved personal and business data to the hackers. These individuals then sold the information to third party operations. With tax time right around the corner, information thieves know that a large portion of the working class citizen currently has sensitive financial data readily available, sometimes even right on the desktop of their computer. Pickings are pretty easy this time of year. The stress surrounding tax time causes most taxpayers to lower their guard when it comes to protecting documents. Information thieves are well aware of this fact, and use tax time to access information that isn’t generally available any other time of year. 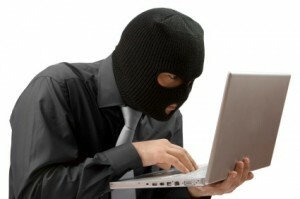 So, how do you guard yourself against identity theft during what seems like ‘open season’ for hackers and thieves? The correct answer is D. By making use of a secure online document storage site, such as My Docs Online, you will be miles ahead of even the most innovative information thief. The key is to thwarting hackers and thieves is to stay organized. Don’t leave your computer for an hour lunch break with financial documents, social security numbers, banking information, and credit card statements sitting right there on your computer. Get an account with My Docs Online, and then discipline yourself to use it properly. Our personal and business accounts allow you to quickly and easily move even large files and documents over to our secure storage space, protecting your computer from prying eyes. An account with My Docs Online allows you to set up folders according to month, year, topic, or whatever proves to be most efficient for you. You can even scan and store purchase receipts, mileage records, and anything else you may need for your tax accounting. It is a great idea to keep digital copies of all of your tax documents, including prior years. Simply scan your paperwork, file the documents online, and never worry about your security again. If you are a business owner, you undoubtedly have numerous files and receipts in your possession. The more information you have lying around, the more of a security threat it becomes. Remember, digital files and copies of receipts ARE accepted by the IRS. With My Docs Online, you can store expense reports, copies of receipts, vendor records, sales tax information, and other PDF and image files. You can basically have an organized library of all your important information, securely stored, and readily accessible 24 hours per day. With My Docs Online, say goodbye to filing cabinets…Say hello to security. Oh, and if you were wondering about the rest of the trivia questions…there was only one. If you chose answer D, you pass with flying colors.